SALES : RENEW YOUR STOCK AT A LOW COST ! DATAVEO offers you to acquire quality equipment in a quick manner at rates that defy any competition. Here below are our solutions for the purchase of barcode and cashing equipment. Do you wish to increase your stock ? DATAVEO offers a complete range of barcode readers (new or second hand) at very competitive prices. 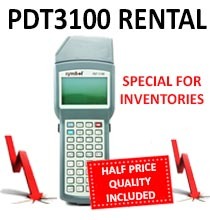 DATAVEO offers all types of devices (MC3100, MC3000, PDT3100, DT940, DT930, DT900, SCANPAL, CL8000…) supplemented by usable range of accessory choices (battery, connection cables). 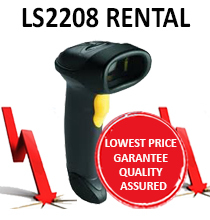 The second hand barcode readers allow you to acquire equipment at a lower cost. It is beforehand completely revised and updated. In order to avoid malfunctioning elements, the equipment is evidently subjected to many tests (system check, keys test, screen and battery autonomy…). Do you wish to acquire barcode equipment for the 1st time ? The sold equipment, new or secondhand, can be delivered with or without software. We can develop, if you wish so, a custom-tailored software that will fit your needs be compatible your equipment. 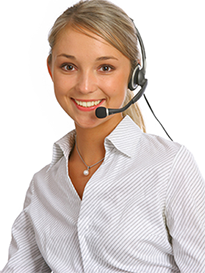 Check out our software solutions. Depending on the products; the warranty can go up to 1 year. This warranty includes the pieces' maintenance as well as the labor. In order to find out more about our repair service, check out our maintenance solutions and our warranty extensions. You wish to renew your stock at a low cost? Do you wish to renew your stock ? DATAVEO wishes to take an ecological approach by recycling outdated equipment. In this manner, DATAVEO offers to resumption your old devices. 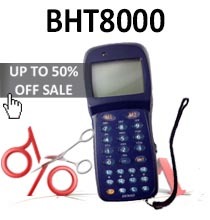 After studying and diagnosing your barcode devices or your stock, DATAVEO gives you a rebuy offer. Through this offer, you can benefit from an exceptional deal for the repurchase of new or second hand equipment that will be more adapted to your needs.